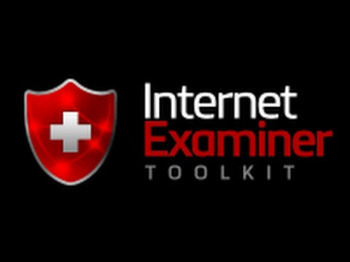 Internet Examiner Toolkit portable is the culmination of years of experience in the field of law enforcement; major crime, private and corporate investigations; expert witness testimony; and on-going forensic research and development. IXTKTM is the first multilingual integrated suite of tools aimed specifically at identifying, collecting, analyzing, aggregating and reporting Internet based evidence from computers, mobile devices, and live from the Cloud. It is the first and only forensic tool to offer FaceDNATM biometric facial recognition; built-in domain research tools (e.g., WhoIs, Reverse IP); and real-time Internet browsing, investigation and data capture capabilities. Forensic practitioners from police, military, government, corporate and academic institutions worldwide rely on IXTKTM every day to find the real facts so they can win more cases based on meaningful and accurate information. IXTKTM goes far beyond conventional push-button tools that simply ‘find’ stuff. IXTKTM is powerful, extensible and transparent in how data is collected and validated. Using IXTKTM in the courtroom, investigators can take the stand confidently knowing they can talk intelligently about the evidence and if need be, validate their findings on the spot without any worry. – Fixed: IXTK would crash when Indexing Volumes or selecting Explore tab in main user window. This was a partition parsing issue relating to Fat12 that has been corrected. – Fixed: Downloading YouTube videos from the Browser tab would fail. This was due to a Temp folder that was not being created. This has been fixed. – Fixed: Disk volume sizes were being reported incorrectly. This was due to a rounding error while creating the volume label.